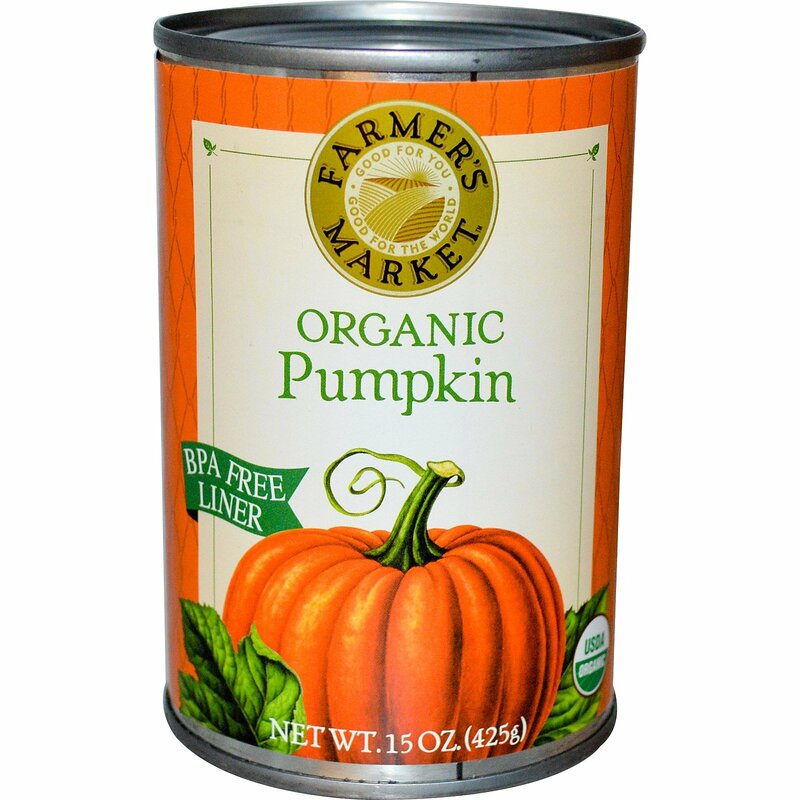 Farmer’s Market Organic Pumpkin is rich, smooth and delicious, and ready to use in everything from baked delights to entrees. 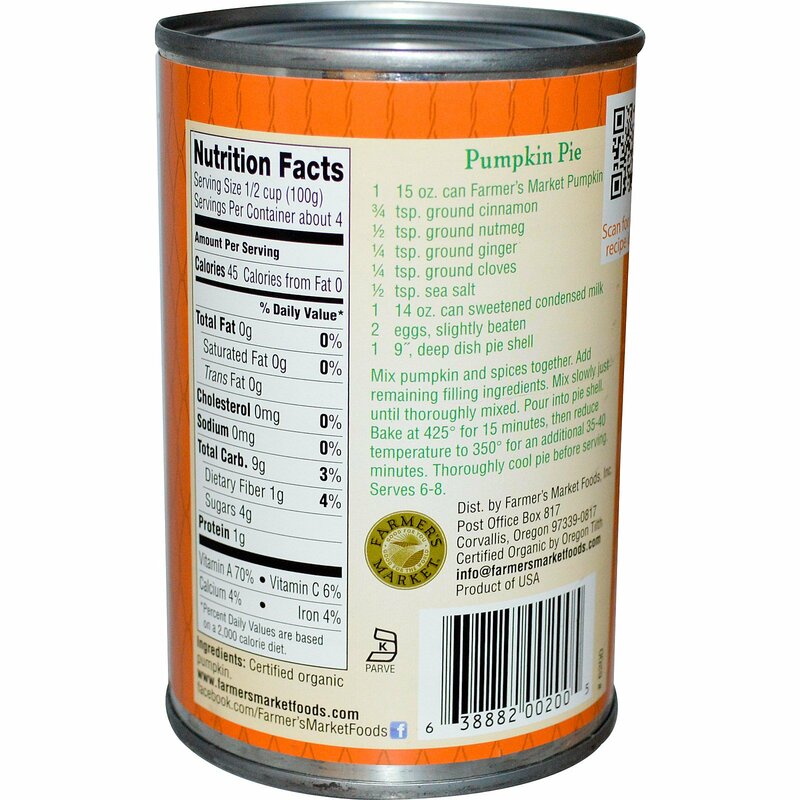 Use it in a variety of recipes including pies, muffins, cookies, soups…even chili! Mix pumpkin and spices together. Add remaining filling ingredients. Mix slowly just until thoroughly mixed. Pour into pie shell. Bake at 425° for 15 minutes, then reduce temperature to 350° for an additional 35-40 minutes. Thoroughly cool pie before serving. Serves 6-8.